Spanish Classes | Spanish Lesson - "Plata" means "silver" and "money"
Spanish Lesson – “Plata” metal, “plata” dinero. Silver has long been valued as a precious metal and it is used to make everything from table utensils to photographic film, but probably the best-known use of silver is to make jewelry. True to our style of teaching our free Spanish lessons from the nooks, crannies and backrooms of Lima, Peru, Juan Carlos takes us to a jewelry workshop to help you learn some silver-related Spanish vocabulary. 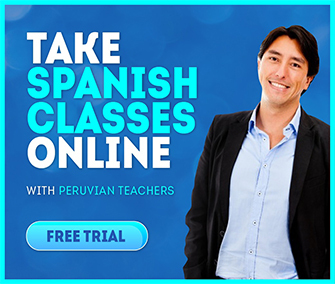 If you are interested in taking an online Spanish course with us, check out the Web Spanish syllabus in order to garner a general idea of our levels of instruction. Spanish Lesson – My Car Won’t Start! Spanish Lesson – ¿Cuánto cuesta? Thank you very much for this awesome blog post; this is the kind of post that keeps me going through the day. I’ve been looking around for this site after I heard about them from a friend and was thrilled when I was able to find it after searching for some time. Being an avid blogger, I’m pleased to see others taking initiative and contributing to the community. I just wanted to comment to show my appreciation for your work as it’s very encouraging, and many bloggers do not get the credit they deserve. I’m sure I’ll be back and will send some of my friends. Soy un estudiante de la lengua española. He estado estudiando español y he estado buscando siempre algo ayudarme con mis habilidades que escuchaban. Web Spanish es maravilloso. Estoy aprendiendo rápidamente entender más de español hablados. Es un gusto poder ayudarte, Randy. Suerte con tus estudios. I am so glad that you enjoyed it. It was an especially fun lesson to shoot, and what made it even more fun is that it really created some excitement for the artisans who were making the jewelry. Me pareció interesantísimo tu blog, lo voy a tener en cuenta, sigue así!